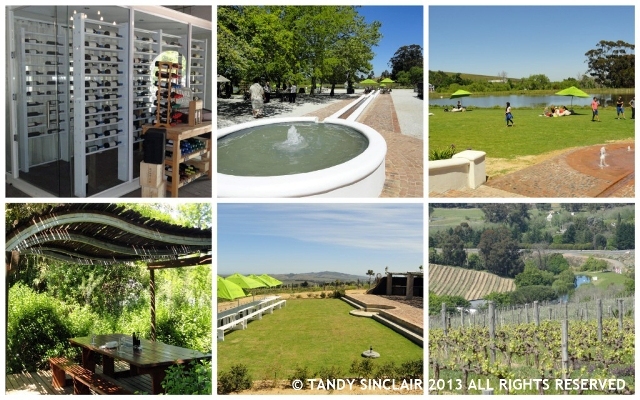 I was recently invited to a picnic at Warwick Wine Estate as a media guest. I was given the option of going on the Sunday with Dave, or on the Monday without him, and chose the Monday option. I was so glad that I did as the weather was amazing, and I got to meet some new people. I could go on and on about the Gourmet picnic but all I am going to do is highlight a few things. You can order either a meat lover or vegetarian option and as we had both at the table I can say that the vegetarian one looked amazing and got rave reviews from the one vegetarian person sitting with us. It was also ‘tested’ by Mike and Norma Ratcliffe and both thought it was good. 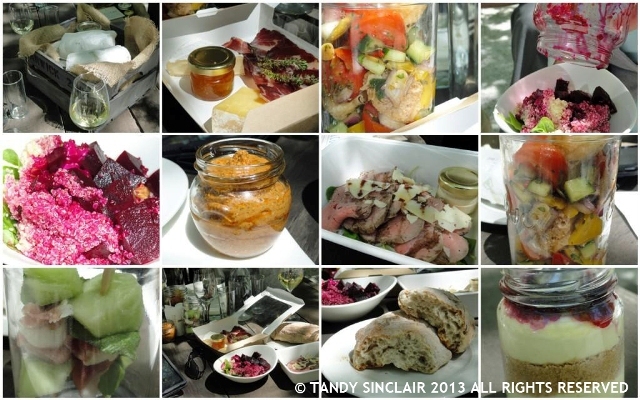 I loved the pickled beetroot, pecan nut, goat’s cheese, quinoa and wild rocket salad and the grilled beef tagliata with aioli and trufflle oil but I did not care much for the gazpacho salad with a chilli and garlic dressing as I found the raw onions to be too overpowering. You can enjoy these picnics (I would recommend you book first) sitting on the deck or in the forest courtyard. If you have a family then you might enjoy sitting out on the picnic lawn and if you want a little bit of privacy, choose one of the 8 picnic pods which are named after the wines. I could also wax lyrical about the big 5 vineyard safari which we did with Mark. Here the vines are related to our big 5 animals that you can find on our bank notes, and in the game reserves. The first vines we came across were the Cabernet Sauvignon and they are related to being the lion. This is the king of the grape variety and the most well known wine in the world. The Cabernet Franc is likened to the elephant as it is big, bold and earthy. Merlot is known as the leopard as it is the most difficult wine to identify in a blind tasting, and the Sauvignon Blanc is the rhinocerous as it is the most easily identifiable varietal in a blind tasting due to its big nose. The buffalo relates to Pinotage as it is a rough cultivar. But what I most want to focus on here is the wines, and the wine family you could belong to. After tasting the wines on offer at Warwick I have signed up for their wine family. Other than the fact that I enjoyed the wines here are some of the reasons I have chosen to join. In the wine tasting that we did with Lawrence, we tasted various wines, including the Three Cape Ladies which is a blend representing the three generations of Ratcliffe women. It has a delightful berry scent and is really smooth on the palate. While we tasting wines I noticed that the estates GPS co-ordinates were on the cork. Now taking it a step further, Mike has added @WarwickWine to the corks, encouraging people to join in on the twitter conversation. Disclosure: I was invited to enjoy a gourmet picnic at Warwick Wine Estate. I was not required to write a blog post about my experience. This post is in line with my blogging policy. It is so peaceful there, you will love it! Sounds like a great day! I love Warwick wines but haven’t tried one of their picnics – I’ll add it to my list of things to do on my next trip. Delicious sounding picnic! Do they serve everything in a jar? Sounds like a fantastic picnic. Impressive that they took so much trouble with the vegetarian option. That was very impressive indeed! Oh you lucky, lucky lady!